I’ve seen a lot of posts in my Facebook feed this month about “pinkwashing” and why Breast Cancer Awareness month is a farce. I take the time to read all of them because I don’t want to be one of those people who just buries my head in sand and ignores anyone who disagrees with me. But after doing a 10 mile training walk on the treadmill today, I felt like I couldn’t be quiet anymore about why *I* will be doing the Avon 39 Walk to End Breast Cancer next week. The first time that I signed up for the walk, I did it for very simple reasons. Both of my grandmothers had breast cancer. I had many friends, neighbors, and colleagues who fought breast cancer along with an aunt and a cousin. I felt so impacted by the sheer volume of people around me who had faced it. I wanted to do something to honor all of them and it seemed like the money and awareness that I could raise would be a way of doing that. That first walk changed everything. In the course of my fundraising, people came out of the woodwork telling me their stories. A neighbor who was only my age and had undergone a double mastectomy and I didn’t even know it. A friend whose mother died of breast cancer the year before. It seemed like by putting it out there that I was doing the walk, people felt more comfortable talking to me about breast cancer. Many of them thanked me for doing it and asked me to carry their names or the names of their loved ones during my walk, and I did. During the walk itself, I saw so many survivors. I was humbled to see women who were just completing chemo walking faster than I was. I learned that my teammates were all walking for very personal reasons, too. Talking to Shawn and knowing why he wears the hat that he wears reminds me at every mile how important it is to him. Seeing Vanessa‘s mom, a breast cancer survivor herself, waiting and waving at the Finish Line brought the whole walk into perspective. A lot is said about how much of the “funds” raised by pink campaigns actually goes to research and the people who need it. I don’t doubt for one minute that many companies use it mainly for PR, and I hate that the NFL gives so little compared to what it looks like they are giving. Attending the opening and closing ceremonies of the Avon Walk as well as their website tells me exactly where that money is going. Hearing people from God’s Love We Deliver, You Can Thrive!, and the NYU Cancer Center talk about how they are using the money they are getting makes me wish I had raised even more. For every story out there about someone who hates Breast Cancer Walks, there is another story about someone who is inspired by them. Today I came across this post Why I Quit the Avon Walk, and it was NOT at all what I expected. It’s the story of Michelle Ward and how important the walk was to her 6 months after chemo. The post is from 2012 and in it she vows to continue doing the walk each year. I skimmed through her site to see if she is walking this year. I found 2 things: Michelle’s fundraising page for this year (having raised over $7K so far and walking again with her mom, BFF, and another friend) and a blog post by Michelle from October 7 of this year saying that the breast cancer has reoccurred (My Begrudging Life Lessons). I hope somehow in that sea of people in New York this weekend that I find Team Awesome and can tell them that I read about Michelle and am praying for her. She posted “I personally feel strong when I share what I’m going through and get messages of kindness and support back.” I intend to find any way that I can to let her know that she has the support of a totally unknown blogger in Indiana. I probably haven’t changed your mind about whether you will walk a walk like this yourself or even give money to mine. But I hope that I have at least shared a different perspective from what you are seeing on social media. My heart breaks for the women who feel like “pink” and “October” are a slap in the face for what they have been through. I hope that they will understand that the rest of us are just trying to do what we can in the ways that we know how to give our time and money to a cause we ALL believe in. Update! I’ll be walking in my FOURTH walk in October! 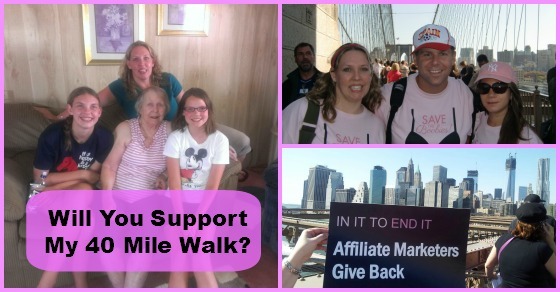 As a part of Affiliate Marketers Give Back, I will be undertaking my second Avon Walk for Breast Cancer this October 18th and 19th in New York. I completed this walk back in 2012 and it was one of the most amazing experiences of my life for many reasons. I could use your support this year in a lot of different ways. I posted the first time I did the walk about my two grandmothers. Grandma Emma is a breast cancer survivor. Grandma Rose, unfortunately, is not. Her breast cancer was so advanced once detected that it spread to her lungs and other places. We lost her very quickly. 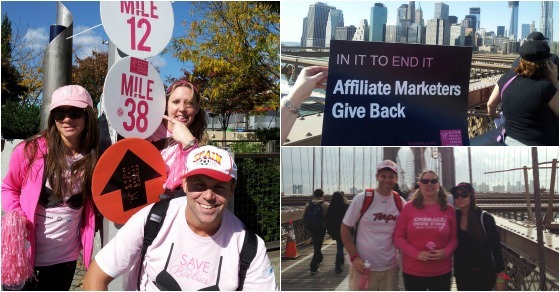 I walked also for a handful–maybe 10?–of other people close to me whose lives had been touched by breast cancer. As I prepared for that walk and word got around that I was doing it, I was shocked at the number of friends and family members who told me that they were breast cancer survivors. Cousins, co-workers, neighbors, Bunco group members, Zumba girls. I would say that the number of people I am walking for this year is probably more like 40 or 50. As Vanessa and Shawn and I walked the last 13 miles on that Sunday in New York, trying to muster up as much energy and enthusiasm as we could while braving blisters and chaffing and muscle aches, I was inspired by all of the people around me. Men and women who fought breast cancer bravely were walking right along side us (and finishing before us!). They bore shirts with their pictures and held signs with their stories. It was impossible not to be forever touched by it. I have two daughters and three nieces. I have a sister and a sister-in law. Statistically, one of us will be diagnosed with breast cancer. The thought of it being any one of those 7 literally brings me to tears. Will it be caught early? How invasive will it be? What can I do NOW to help?? I’m asking for your support and I will take it any way that I can get it. First, I need donations to even be able to walk. Last time I received $5 donations from a LOT of people and those $5 donations ended up adding up a lot. I need to raise $1800 total in order to be able to walk (that doesn’t include the hotel and flights that I pay for separately). You can make donations quickly and easily online. If you donate and want me to walk for someone in particular for you, let me know who that is and I will add their name to the list that I will carry through the event. Second, you can help me spread the word about the walk. The more people who read this post, the more people who are going to help me and help support the walk in general. Tweet the post. Share it on FB. I’m not above begging when it comes to something like this. Third, when it comes time for the walk, keep an eye on us that weekend and cheer us on. Chances are pretty good that I am going to end up having to get a cortisone injection in my ankle to be able to pull off the whole 40 miles, but I am dedicated to completing it. The people who commented on pictures and texted me during those last 5-10 miles last time were what got me through it. For a little while the text messages were the only thing that kept me from wanting to just stop and wait for a bus to come by and get me. It really made that much of a difference! Yes, this walk is a fundraiser. And it raises a LOT of money for some great causes. But it is also about education. It’s about awareness. You might say to yourself “but people talk about breast cancer all the time.” There’s a reason for that. Every 13 minutes a life is lost to breast cancer. Early detection is so incredibly important–lifesaving. Events like the Avon Walk for Breast Cancer play a big part in that by educating people, paying for educational programs, and supporting educational programs financially. In addition, there is still the hope that funds raised will lead to a cure. Can I count on you to support me in some way? Big or little, I can use all of it that I can get! When I was a kid, my dad had a shirt from work that I will never forget. It was plain blue with the letters “DIRTFT” on the front in blue. Simple but profound. We joked that it was his “Dirt Foot” shirt. But it was really a motto that they had at PPG, “Do It Right The First Time.” It always stuck with me both in my work and my private life. It’s easier to do something fast than to do it right, but many times that will come back to bite you. When I get an idea, I want to execute it immediately. Sometimes that means cutting corners. But in the end, I know that I am better doing it right the first time. I’ve come across this so many times in my affiliate marketing business and figured I would share them with you so that you don’t make some of the same mistakes that I did. Use Templates and CSS. Often when you are building a site you just want to jump in and get it going. When I launched Sunshine Rewards it was on a template system with CSS but to save time I often just hard coded things like URLs, fonts, and colors. My programmer hated it. Fast forward 7 years and we are now white labeling the site. Every place that I hard coded versus using the template or CSS now has to be changed. 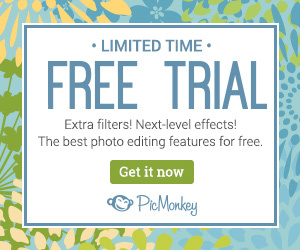 This can also come into play when you are using a WordPress Theme and have to upgrade it. Build Affiliate Links Properly. On SR we use a link database. One some of my blogs I use Pretty Links. But in a lot of places I have just dumped in raw affiliate links because I was trying to get a post up quickly. 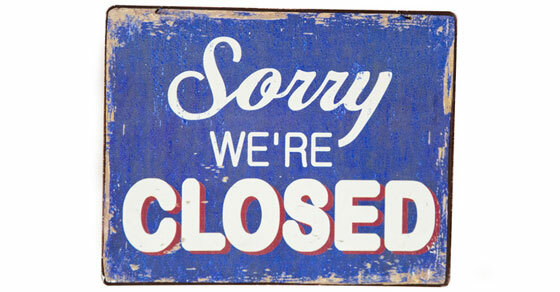 With the closure of the Google Affiliate Network, I have had to change every single link for affected merchants. On SR and where I used Pretty Links to redirect, it is a snap. But in all of the places that I just dropped a quick affiliate link? It’s nearly impossible. It would take me so much time to go into every post that it wouldn’t be worth the time. Will I lose revenue? Absolutely. So now I have to pick and choose where I will lose the most and where it isn’t worth it to spend the time changing the links. Not a good use of time. Use SubIds or Different Network Accounts. 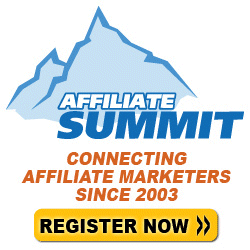 Most affiliate networks will allow you to use your links on multiple sites. That makes it easy to apply for a program once and then just use those links across different sites. 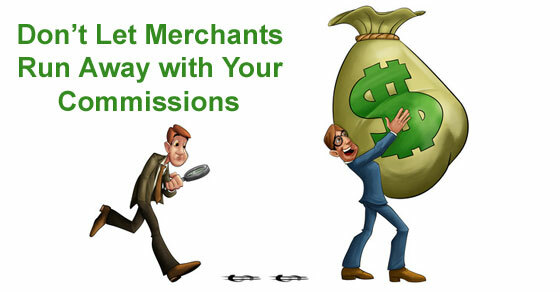 But what happens when you want to try to figure out revenue for a particular merchant just for one of your sites? Or if you want to sell a site? If you know you won’t be selling sites, at least use the SubIDs available within each network so that you can easily see which sites your revenue is coming from. If you think there is a chance you might ever sell your sites, you may want to have separate network accounts when possible. Anticipate replication. When I first started working with CPA Networks, we coded our site to be able to do postbacks from just them. Once we started working with a couple more Networks, we completely changed our system to be able to quickly add new networks without redoing a lot of work. Now we can add postbacks for most networks that use the most common platforms (CAKE, Directtrack, etc) in less than an hour. Set up folders and use naming conventions. I have so many images and files on my computer and often I know that I want something from the past but just can’t put my finger on it. It may be a stock photo that I bought years ago and never renamed or a video saved in a random folder. Do yourself a favor and rename images so that you can find them later, set up folders to organize different projects or sites, and don’t just save everything in default places with default names because it’s faster. You’ll regret it later! There are so many areas in my business where I am either glad that I took the time to do something right the first time or regret that I did not. Do you have any examples of either from yours?